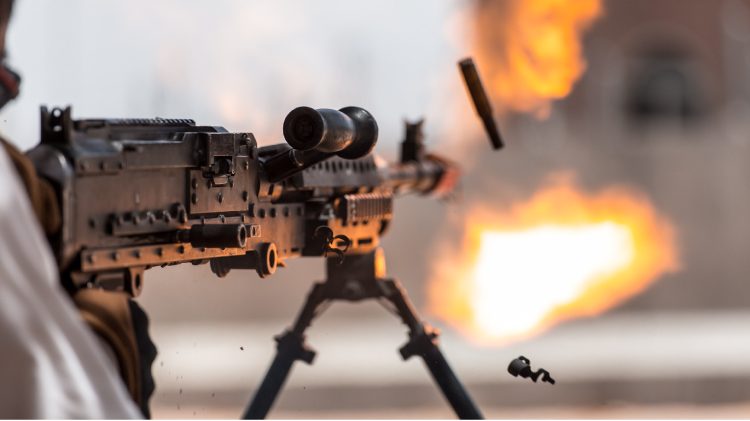 Date: Feb 16 2019, 12 p.m. - 8 p.m.
Fort Gordon Outdoor Recreation and the Fort Gordon Sportsman's Club present the 2019 Machine Gun Shoot. Come out and watch professional shooters fire amazing weapons; many of which are rare and antique. At dusk, check out the tracer fire. Onsite food and beverage will be available for purchase supporting Outdoor Recreation and the Sportsman's Club from 10:30 am to 3 pm. Those interested in shooting, please contact Fort Gordon Outdoor Recreation at 706-791-5078 before January 16.